There’s a song in there somewhere. 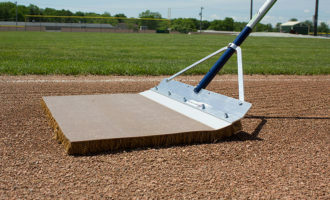 The cocoa mop brings harmony and is perfect for smoothing your infield. They are best suited for fields with a layer of topdressing on the skinned areas. 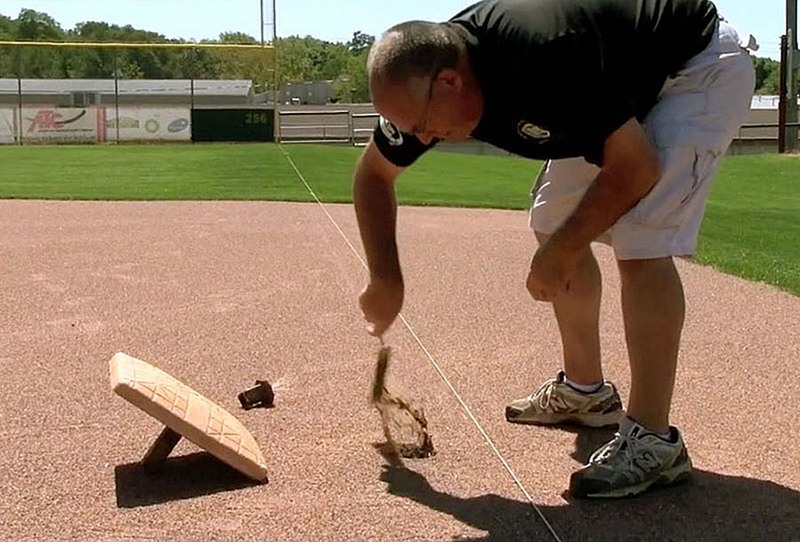 The cocoa mop is a grooming tool used for finishing areas like the pitcher’s mound. 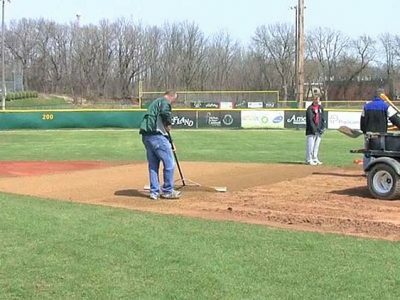 The mop’s flexibility allows it to conform to the curvature of the mound better than a rake. 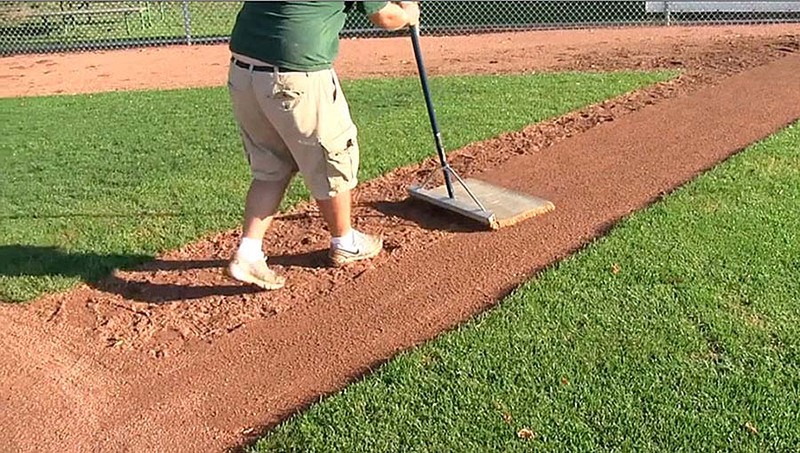 The mop is also small enough to work in tighter spaces, such as the baselines, cutouts, and along the infield turf edges. It’s a great tool for pregame prep, or even in-game touchups. Underrated. That’s the best way to describe this simple-looking tool. The level board is a key leveling tool that works like a road grader. Equipped with a stainless steel cutting bar, it’s rugged enough to cut down high soil areas. Its beveled back edge makes it much easier to allow soil to “feather” under the board for filling low areas. 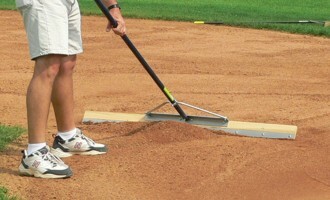 It’s that back bevel and the 54-inch width that makes the level board ideal for grading and leveling the infield skin. 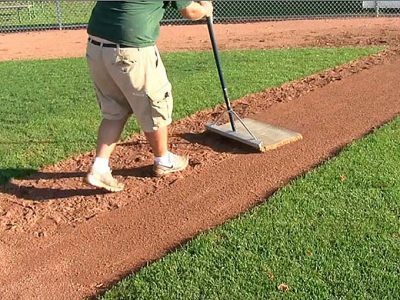 You can use the level board to level an entire infield skin, or just level off high or low areas in the usual high traffics spots. 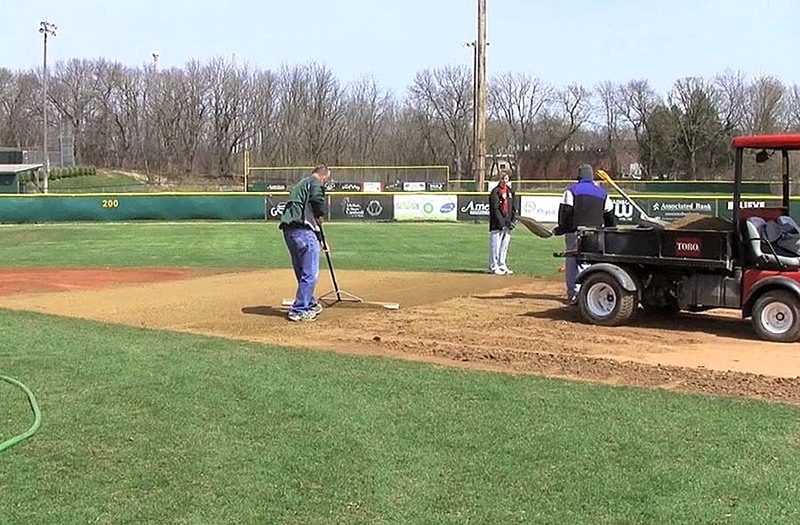 You can use it to redistribute infield topdressing when that layer becomes inconsistent. Bottom line, there are many, many uses for the indispensable level board. Some like the large 10″ x 10″ tamp plate, but it is the smaller 8″ x 8″ tamp that provides the best packing power. The smaller plate packs a maximum punch, concentrating all of your packing power into a smaller footprint. 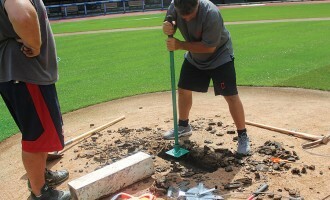 No matter what you call it the base scoop or digout tool makes sure your bases get seated properly. 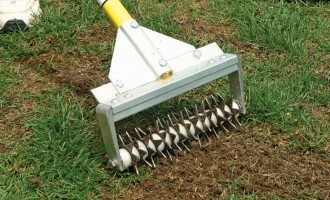 They are used to excavate any soil or topdressing from inside a 1-1/2″ base anchor, or around a 1″ base anchor. The soil must be kept away from the top of the anchor, so you use this tool to clear out a little extra space around the top of the anchor. 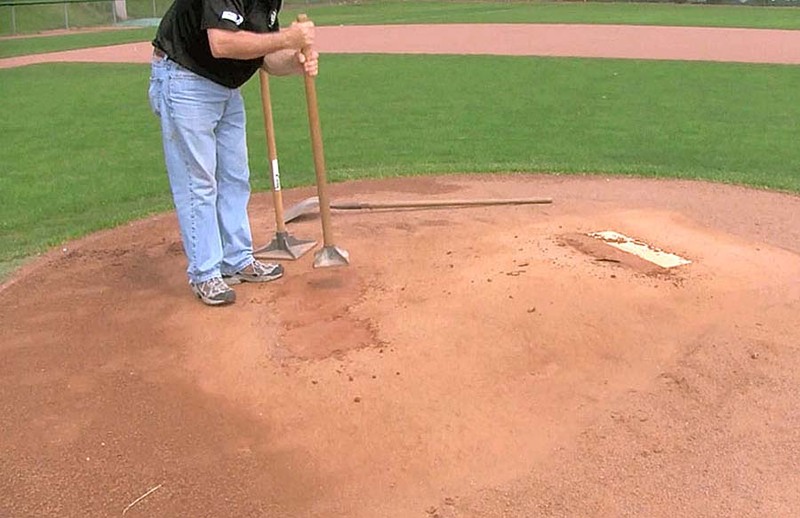 This helps you seat the base properly, nice and level and flush with the infield skin. While some call it the “hula hoe” the scuffle hoe has a double-edged trapezoidal shaped blade. This tool is often used to help edge infields and warning tracks by slicing off grass and weeds at or below soil surface. 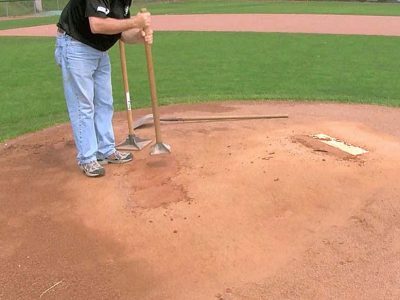 Another use for this tool is shaving down high spots on the clay areas on the mound and around home plate. Watch the video next for a demonstration of the scuffle hoe. 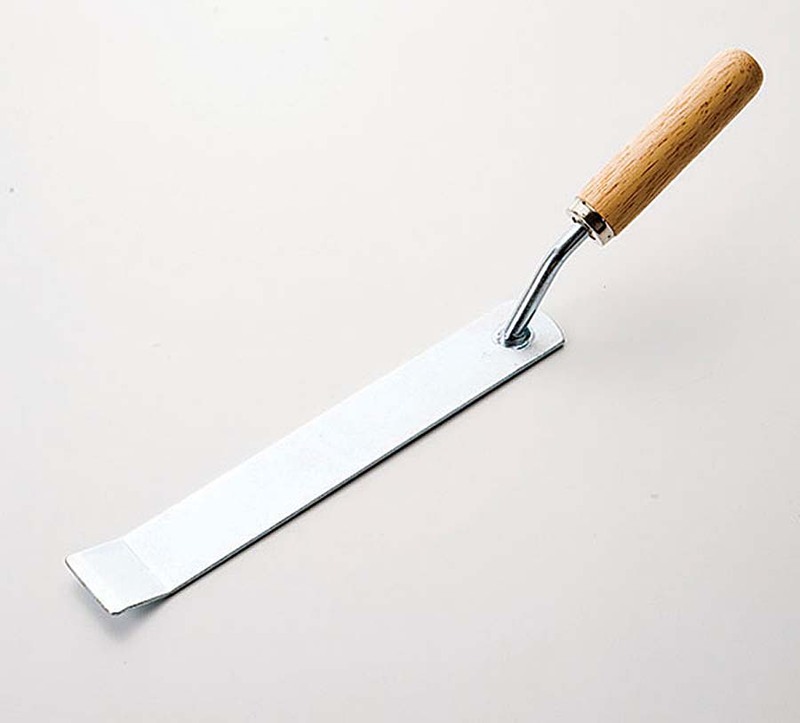 The sod knife is sometimes called the “half moon edger” and this tool is very simply a knife. 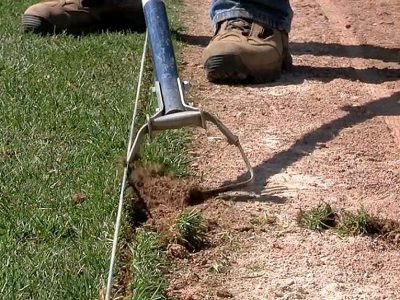 The sod knife is great for edging and its edge can be sharpened with a grinding wheel to maintain maximum effectiveness when slicing through sod. 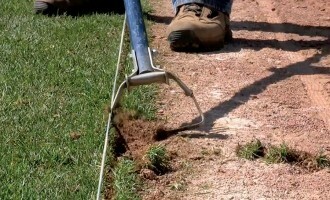 The sod lifter is used to lift sod from the soil surface. 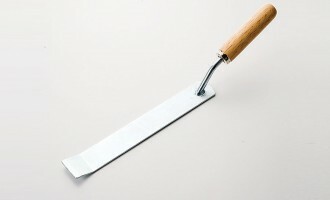 The angled handle allows you to get the blade between the thatch layer of the root system and the topsoil beneath it. Thrusting the blade back and forth will cut through the roots so you can simply lift the sod away. Like the sode knife, it is a more effective tool if the edge is kept sharp. 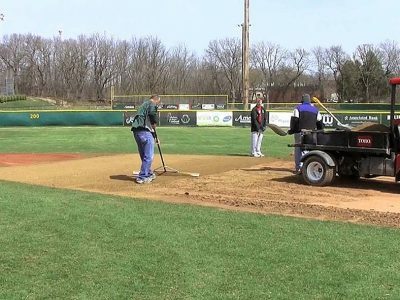 You can also use the sod lifter to shave down high spots of clay areas around the mound and home plate. 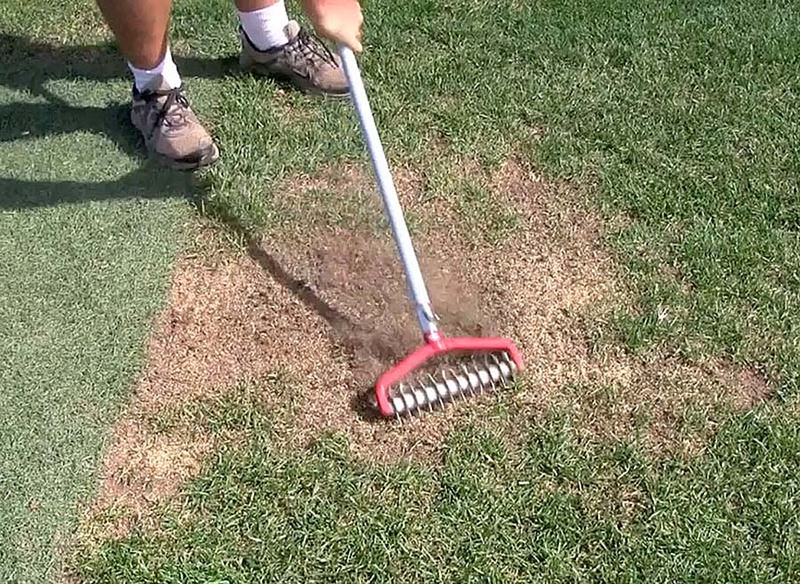 Make sure the seed you’re sewing into your turf gets good seed-to-soil contact. The overseeder will loosen the soil of your heavy wear areas just enough to make sure seed and soil are in contact, which is crucial for the germination process. 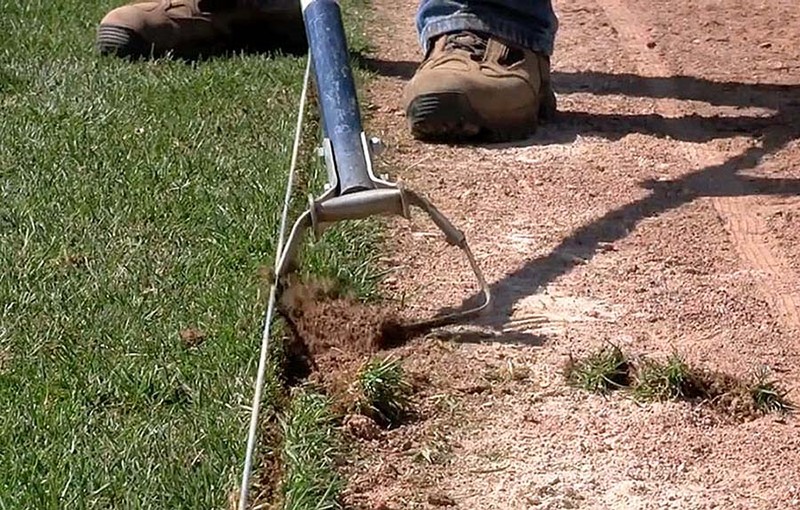 Because of rotating star discs, the overseeder can also be used to loosen soil and topdressing that has hardened into a lip around your turf edge. After loosing the soil with the overseeder, you can come back with a fan rake to pull that material out of the grass edges. See? We worked our way back to a rake… one of the first tools we talked about. 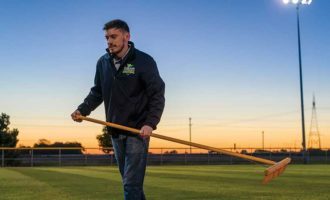 Many of these tools you’ll use in combination with each other to achieve the many tasks associated with field maintenance. 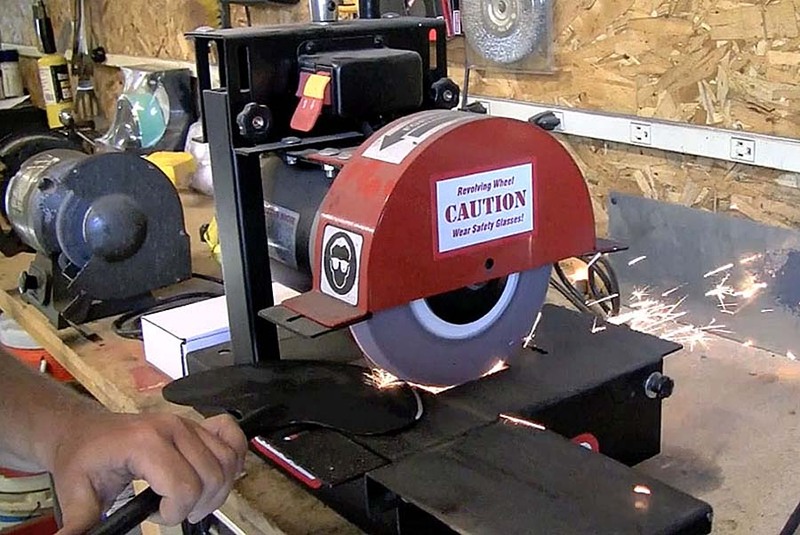 That pretty much does it for the most common hand tools you’ll routinely use. Of course, there are more tools such as hoses and nozzles, float drags, and more. We’ll talk about those more specifically as needed throughout the modules and lessons of GU. If you’d like to review any of the tools discussed in this introductory lesson, now would be a good time to take a look back. 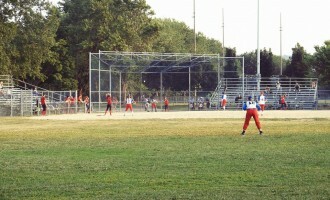 But if you’re ready, click below and let’s get started actually using all these tools on field!